How do you engage the brain to improve your work, your life, your teaching and your daily negotiations? First, our brains do not like boring things. After about 10 minutes, we check out. More importantly, emotional arousal helps the brain learn. Humor, anecdotal stories, and change in tone of voice or pace, helps the brain function. So, keep your points short, sweet and to the point. As you teach or negotiate, use a little humor or tell a personal story. If neither of those seem appropriate, try to provide an anecdote that may provoke emotions. The emotional change will help the brain retain and learn. Second, stress adversely affects the brain’s ability to improvise, to retain information and to solve problems. So, create a relaxing environment to the extent possible. In this day and age, stress is nearly always presents. We need to make concerted efforts to diffuse the stress to allow people to learn and reach better agreements. Third, our brains love us to be in motion. We evolved to walk 12 or so miles per day according to scientists. Oxygen helps the brain function. Use this information and have clients or students walk outside during a negotiation or a class. Exercise allows blood to go to the brain, bringing it glucose for energy, oxygen that helps absorb toxins, and stimulating protein that keeps the neurons connected. Likewise, if you are in a dispute, take a walk for 15 minutes. Your head will clear, and you will be able to think more clearly. 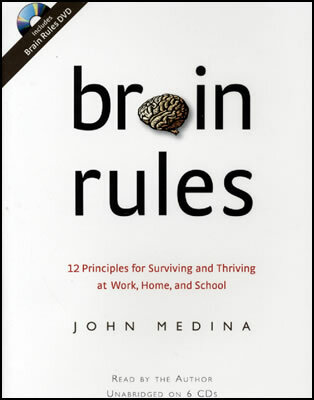 John Medina, outlines these and other concepts in “Brain Rules.” After watching his presentation in Seattle where he captivated me and a 100 other attorneys for over 2 hours, I was convinced he knew his stuff. I used these and other concepts in recent mediations and when I taught a week long intensive mediation and negotiation training at Pepperdine. It works. I recently attended a session entitled “What Mediators Can Learn from the Brain Science of Grief Counseling” at the Northwest Dispute Resolution Conference in Seattle. I was interested that the lecturer, Professor John Medina, a molecular biologist fed up with current popular myths surrounding neuroscience and author of Brain Rules, was explaining a method of grief counseling that actually helps people who have been traumatized. First, Professor Medina explained that grief counseling used at the time of the 9/11 disaster, Critical Incident Stress Debriefing (CISD) was actually exacerbating the trauma of the victims, as I discussed in my blog entitled “Recalling Traumatic Events: Cathartic or Destructive?” Professor Medina explained that the process of having a person recall an event in detail immediately after the event, has the effect of reinforcing the negative/traumatic aspects of the event. Professor Medina introduced a new method of grief counseling he named the “secret sauce” of Professor James Pennebaker. Under Pennebaker’s method, the first step in assisting a trauma victim is to allow time to pass. With the passage of a month, the brain has a natural tendency to remember positive rather than negative aspects of a traumatic event and may heal more rapidly. After a month has passed, the therapist has the patient, on 4 consecutive days immerse himself in the trauma for only 30 minutes per day. During that 30 minutes, the patient is instructed to replay the event and experience the feelings of the event to develop a deeper sense of the event and how it has impacted them. Professor Medina described the exercise as a process in which a person looks back on the event as an objective third party looking into the event. The patient then journals the emotions he felt during the event, completely describing the emotions in an effort to more deeply understand how it impacted him. By viewing the event as an objective third party and journaling, the traumatized patient will begin to understand his or her feelings about the event, instead of simply his reactions. Pennebaker’s researchers found that patients who journaled their feelings had less stress, 50% less fear and anxiety about upcoming procedures, healed more quickly and had fewer negative impacts from the traumatic event. Mediators perform a similar function. Rather than the patient creating the objective viewpoint, mediators listen to both sides and create for the parties a “third story” with a different eye that both parties can hear and understand. For example, in a recent death case, an older gentleman drove into the broadside of a semi-truck, killing the gentleman. His wife, sleeping in the passenger seat, survived. As I talked with her, she envisioned the death occurring because her husband, through no fault of his own, could not see the semi-truck blocking the road. That was the only explanation she could see based on her view of him as a loving, caring spouse. When I mentioned that we would never really know if he had seen the vehicle. We really did not know whether he was sleeping or whether he had passed out due to his medical condition because he was not here to tell us. After repeating that third story several times, she began to understand that there could be another perspective on the accident that could affect her success in court. She moved along in her grief and began to see the way towards settlement. Mediators often communicate the neutral third story to both sides in an effort to have them see the dispute from a neutral vantage point. Through this process, clients can see how perceptions may vary and may be able to view the event from a different eye, moving them closer to resolution. So, I am honored to have been invited to teach at Pepperdine University’s Straus Institute for Dispute Resolution in May 2012, and in January 2013. How did this happen? I’ve been teaching mediation advocacy and negotiation for years, mostly to attorneys, some to law students and to college students. But recently, it has exploded. It all started to multiply this Spring when I agreed to speak to the Community Association Institute, Las Vegas. As I walked through the smoky casino, I wondered what I was doing. In the Fall, I had spoken to a similar group in Reno about working with difficult personalities in community associations, and they liked it. So, here I was. I was shocked to walk into an enormous room with seating for 200. I’d better do a good job, I thought. The group was interactive, they raised great questions, and the hour flew. It felt like an intimate gathering. I was having fun. The very next day, I was at the J. Reuben Clark Law School at Brigham Young University in Provo, Utah speaking to law students about mediation. I was immediately struck by the contrast to Las Vegas. Younger students, fewer life experiences, no profanities allowed, and many pregnant women. Still, we had an engaging, interactive discussion about mediating lawsuits in commercial cases. In April, I agreed to be a Co-Adjunct Professor teaching Negotiation, Mediation and Conflict Resolution to a students getting their Master’s Degree in Public Administration at the University of Utah. Teach on Friday nights and Saturdays? Still, it sounded fun. I was clearly nuts. But, what a fantastic group of folks in government. They are sharp and curious. Later in April, I was in Washington D.C., at a combined seminar of the ABA Dispute Resolution Section and the International Academy of Mediators. While there, I taught with Susan Hammer, Eric Galton and Jerome Weiss about moving attorneys and clients to productive negotiations rather than positional bargaining. Professor Peter Robinson of Pepperdine University’s Straus Institute for Dispute Resolution and I went to lunch to discuss a closer relationship between the International Academy of Mediators and Pepperdine University. Shortly after our lunch, he asked me if I would teach a one-week intensive program on Mediation Theory and Practice at Pepperdine University. 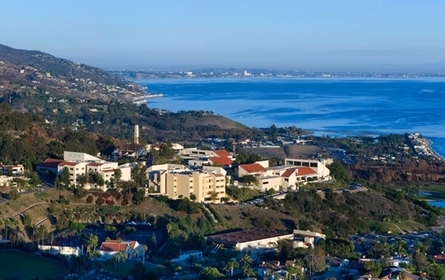 Pepperdine University’s Straus Institute for Dispute Resolution has one of the finest reputations in the country for teaching mediation to law students, lawyers and aspiring mediators. I had to make it work. Pepperdine is where I send people who want training. What a great opportunity. And, as I sit here surrounded by materials, textbooks, and simulations preparing a syllabus, I am thinking — this all happened rather suddenly. So, I guess it shouldn’t surprise me that a very close friend recently asked “What’s going on? Are you changing direction?” Well, my mediation practice remains busy. Teaching, however, is invigorating. But when you teach, you learn. And, as I mediated a most difficult case yesterday, all the tools of the trade were fresh on my mind allowing me to help those clients reach closure. Should we really have clients recount traumatic events in detail in mediation? Or is that actually a disservice to clients? Are we reinforcing fear, and sidetracking settlement? Or are we helping clients move past the trauma? According to recent studies, recalling a traumatic event shortly after the event occurs does not unburden us — it causes additional stress and fear. And, memories are not pristine — they change over time. In a recent Wired Magazine article entitled, The New Science of Forgetting, Jonah Lehrer explains the neuroscience behind these concepts. Dating back to the Greeks, we have believed that memory is a stable form of information that does not change – an impressions in wax. In 1983, a technique called Critical Incident Stress Debriefing (CISD) became widely used in many contexts, including 9/11. People who survived a traumatic event would recall the event for 3 hours in a seven-step process. The theory was that recalling the traumatic event would help the person forget the event. After noticing trauma victims decline following CISD, scientists reevaluated this technique and found that survivors of disasters who received the treatment were 3 times more likely to suffer from depression or PTSD. Just recently, some psychologists have changed course and now recommend we discontinue CISD for disaster survivors. Here is what they have learned. The seven-step CISD technique assumes that memories are formed and remain the same over time. However, neuroscientists have recently discovered that the cells in the brain constantly reconfigure and update memories, according to what information is useful and relevant for the future. If we try to solidify a traumatic event shortly after the event, we are actually reinforcing all of the negatives associated with the event, including sweaty palms, heart palpitations, visual images, causing additional fear, stress and trauma. Each time we recall an event, the cells in the brain reorganize, actually altering the memory, and perhaps making it worse. So, what does this mean for lawyers and mediators? Think and take care when asking a client to recall a traumatic event, even though time has passed. I remember mediating a case with a man who was in a truck accident that nearly killed him. He was sleeping in the sleeper of a semi when the other driver fell asleep. The truck overturned and was engulfed in flames. He remembered being trapped in the cab of the semi, pinned under a portable refrigerator. I could quickly see that recounting the accident was extremely upsetting to him, so I changed the focus of the conversation. His attorney probably didn’t really notice — I never asked. I knew that the insurance company would never pay him enough to compensate him for his view of the trauma caused, particularly if he continued recalling the event. Creating fear and anxiety in him was not helpful to him or to settlement. Likewise, in other highly emotional mediations — which is a significant portion of my mediation practice — I am extremely careful about having clients recall their traumatic experiences. Intuitively, I can see when it is not helpful. And, now I partially understand why. I have long believed that most people do not lie. They simply have differing perspectives. However, in fact, memories are contained in changing brain cells that are not static and stable. In fact, scientists now believe they can target certain specific memories and assist us in forgetting those memories. It is not Eternal Sunshine of the Spotless Mind, in that all memories are not erased, but, interestingly, they believe we can now erase specific memories. More importantly, if we know that asking about traumatic events can actually cause additional fear, and if we realize that memories are not necessary right or wrong, perhaps we can be more helpful as professionals. Mediation and Negotiation by Skype? Should you mediate by Skype? Perhaps. There are benefits and warnings. When a recent case was scheduled and one client would not be present in person, an attorney called me to discuss the client’s participation by telephone. After a short discussion, we decided to have the client (let’s call her Meg) participate via Skype. Neither attorney had experience with Skype. Both clients were experienced Skype users. After some initial reluctance, all agreed to Meg’s Skype presence for mediation. Still on the day of mediation, concerns surfaced. We started early. As a frequent user of Skype, I was comfortable. I conducted telephone mediation as an appellate mediator for several years. Thus, I was conscious of the differences the telephone could add and subtract. With telephone mediation, you have to shift your focus. Listening to tone of voice is exceptionally important. Deep sighs and tempo are important as are pace and pauses. My first course on mediation in 1997 was from Judy Mares-Dixon and Bernard Mayer at CDR Associates in Boulder, Colorado. Judy was blind and demonstrated that when you cannot see, your focus alters and you pay attention to other details. Judy encouraged us to try to heighten the use of all of our senses. And, as we know, watching body language is also important. It accounts for 50-65% of our communication. While negotiating in-person, noticing body language happens out of the corner of your eye if you are trained. With Skype, you must focus more on the images on the computer, intentionally noticing the clues. Turning the computer so that the client can see body language of counsel and/or the mediator is also key. One benefit of a computer is that unhelpful body language, exasperated sighs, and/or difficult conversations can be edited by simply turning the screen. For example, if an attorney has a difficult message to convey, he can gather is thoughts, take a deep breath and relay the response in a more controlled manner. My role as the mediator was tuned into new ways of helping lawyer and client through their negotiation process. And, Skype was helpful for their difficult negotiation. They were not trapped in the same room. They could take brief breaks, eat a snack or read their mail during the breaks. There were other benefits as well. Meg was more relaxed. Due to the issues in the case, she did not want to be physically present. Whether or not her fears were justified, Skype alleviated her concerns. As the mediator, I also thought about my tone of voice, the occasional problem of voices that break due to connectivity problems, and the ways those problems may be more difficult to control. As the case was nearing settlement, I sent the proposed settlement to Meg in a file on Skype. She was able to print the document, ask questions, sign the final version, scan it and send the signed agreement back. We did run into technical problems on several occasions. I would mediate via Skype again, but I recommend it only with a trained professional mediator who can work with the subtle communications differences and with a mediator who has technical Skype experience. “Let no man pull you low enough to hate him.” Every year at this time, we are reminded of the great work of Reverend Martin Luther King, Jr. So often I encounter people who seem to “hate” each other. In a recent series of mediations, I encountered a number of people who began to “hate” each other. Each time, allowing the parties to talk resulted in far less hatred. Picture a conference table full of men in dark suits in one room angry about a dispute regarding a contract. Distrust and hatred were palpable. Down the hall, the other party to the contract was sitting with his spouse and his attorney. He was sad and frustrated. Both sides were distressed and disturbed. They were good friends but significant problems had arisen. A lawsuit had been filed, and for many months neither side had talked to the other. The legal issues were complicated. I mentioned early in the process that a few select men may need to speak to each other. Attorneys were reluctant. Clients were intrigued but wary. After ordinary attempts at settling the dispute seemed to be yielding no results, I brought the key people together. They shared stories. They cried and laughed. They solved their problem. All indications of hatred disappeared. Like so many others, these good people appreciated the opportunity to discuss the issues in a controlled setting with a trained mediator. That day I felt I was working to correct that pull of hate, as I do more often than not. “Hatred paralyzes life: love releases it. Hatred confuses life: love harmonizes it. 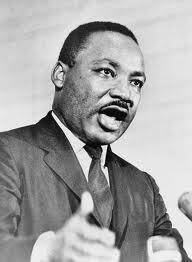 Hatred darkens life: love illuminates it.” Reverend Martin Luther King, Jr. Thanks Dr. King for reminding me of why I love my job. Should you negotiate by email? Scientific American says no, citing a recent study involving 48 MBA students from three universities. In the study, students were given $89 to divide with another person. 64% of the time, the students lied when writing a letter to the other person; however 92% of the time the students lied when they were sending an email to the other person. Whether or not you think the study is valuable, think about whether you should negotiate by email. First, try to negotiate in person, by Skype or by telephone. But, this is not realistic. So . . . what do you do if you need to negotiate by email? 1. Be clear and concise but not terse. Generally, the recipient will only read a line or two – maybe three if you are lucky. They will skim. So, get to the point. Explain your interests, the options, your other alternatives clearly. Read the email to see if it is too abrupt or interpreted to be rude. 2. Be professional. Open and close the email as you would a letter. When I receive an email, I notice whether it is terse or professional. Although I try not to be affected by lower case letters and strange spelling, I feel the informal language indicates the person writing the email does not care about me, the topic or my impressions. Email messages from phones are different. If a person responds to me from their phone, the informality is more acceptable to me. 3. Read the email aloud to yourself. Pause. Think. Read. We send emails too quickly. According to Psychology Today, studies have shown that nearly half of the time, recipients were NOT able to correctly interpret the tone and tenor of the email. Humor can be misinterpreted, mild displeasure can be read as a tirade, and serious comments can seem sarcastic. We all have difficulty hearing our voice or email as anything other than what we intend. Some people can effectively use dashes, dots, spaces — to indicate pauses. As with all negotiations, pay attention. Be professional. Be clear about your priorities, and negotiating by email will serve you well.